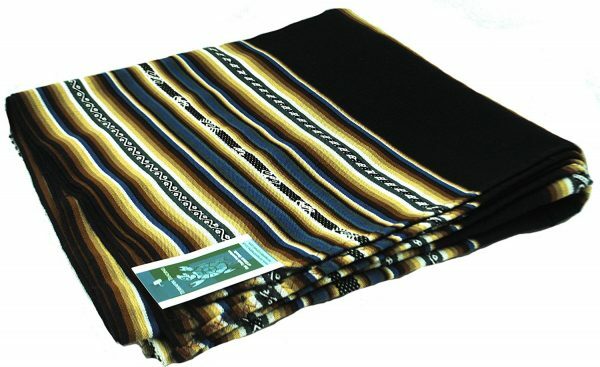 The indigenous communities of the Andes still work textiles and leather, and these blankets are a traditional item for sale at mountain markets in small quantities and original, unique designs. This stunning native blanket has been made by indigenous women in the Bolivian mountain villages of Antacucho and Cuchuri where they have used textile arts to create this blanket, each one with a unique aguayo pattern. The indigenous Indian craftsmen and women still maintain their traditional techniques and maintain durable design features and original artwork. 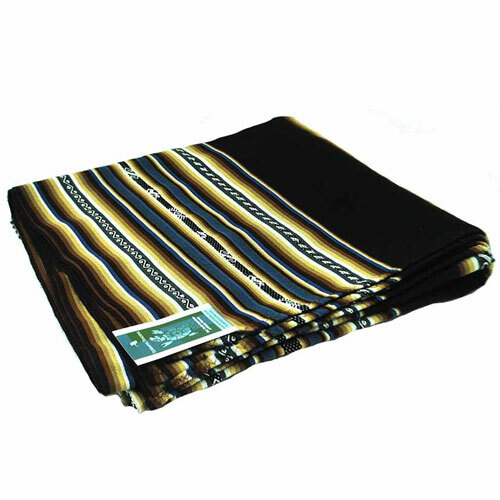 These blankets are traditionally used in the Andes by indigenous Indians for carrying produce on their backs, they also have multiple uses as a baby carrier or as a warm blanket, wall hanging, picnic rug or thick tablecloth. 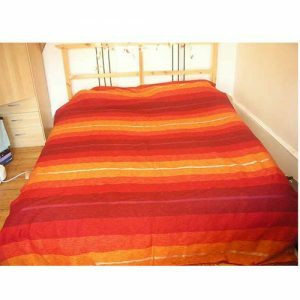 Funky, bright and genuine native American tribal blanket – very unique, original gift for yourself or a loved one.